(Times of Israel) — Using a modified household digital camera and a revolutionary new technique for performing multispectral imaging, an interdisciplinary team from Tel Aviv University has discovered never-before-seen Hebrew inscriptions on a First Temple-era shard. The discovery raises the possibility that other “blank” shards from the period may also contain undiscovered texts, and there are now plans for a wider reexamination of all shards from that time period. 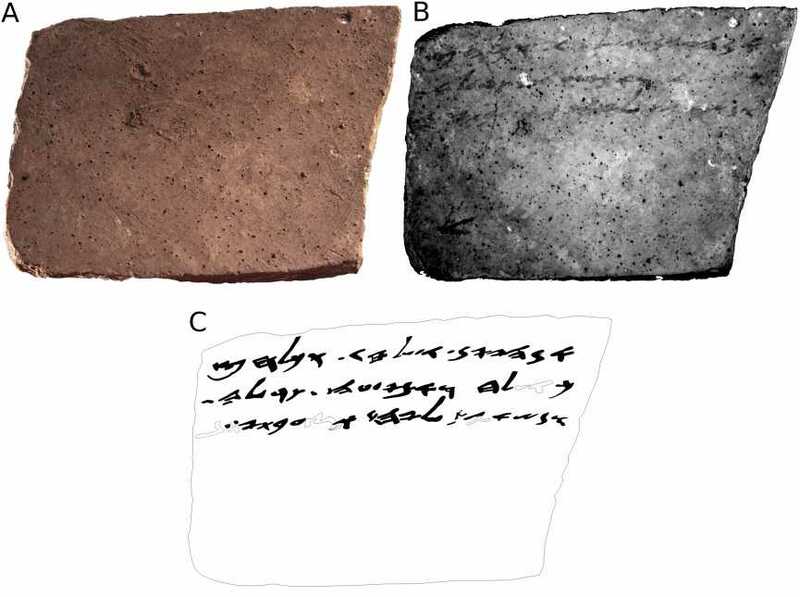 A corpus of 91 ink-on-clay shards (or ostraca) written on the eve of the Kingdom of Judah’s destruction by Nebuchadnezzar was unearthed at Tel Arad, west of the Dead Sea, in the 1960s. A remarkable find, the shards were found together on the floor of a single room, and what legible writing was discerned was thoroughly deciphered by top scholars. For the past 50 years, they have been prominently displayed in the Israel Museum. Containing lists of supplies and orders from military quartermasters, the shards’ value to the study of the Hebrew language, the sociology and the economy of the time period is immeasurable.